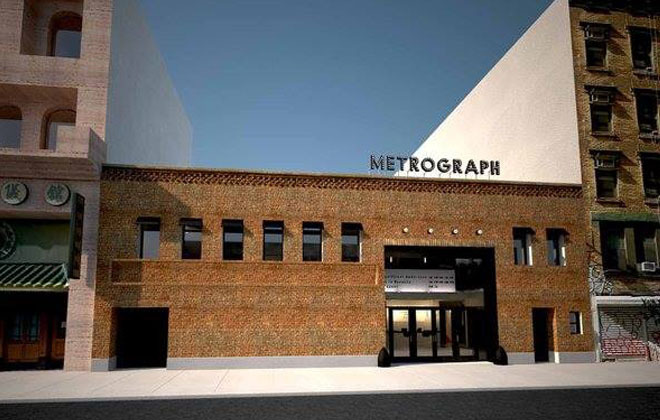 Metrograph cinema in New York’s Lower East Side prides itself as being the best of the best for film enthusiasts, full stop. Founder Alexander Olch, who is a successful designer in his own right, had a vision to create a space for film buffs to not only view classic titles and groundbreaking new works, but also elicited the old-world New York film scene of the ’20s, along with the feeling of the golden age of film, when stars flocked to the Hollywood back lots to share work, take meetings, and most importantly eat, drink, and talk about film. And the two-cinema theater that opened on Ludlow Street this Fall certainly fits the bill! Not only do the impeccably styled theaters have a thorough roster of film-buff-approved screenings, but they also run programming for the film community as well, like talks and special screenings. Not to mention the state-of-the-art projection that can show 35mm as well as enhanced digital film. 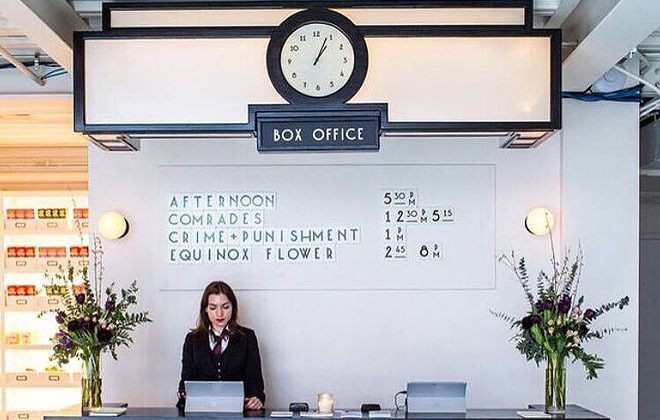 How chic is this box office? 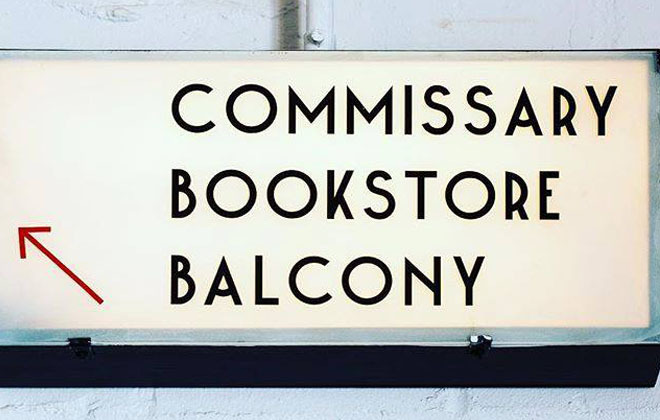 They also have a fabulous bookshop, restaurant, and candy shop – so basically everything you could possibly want in one place! This isn’t just a great spot to catch the latest indie flick. 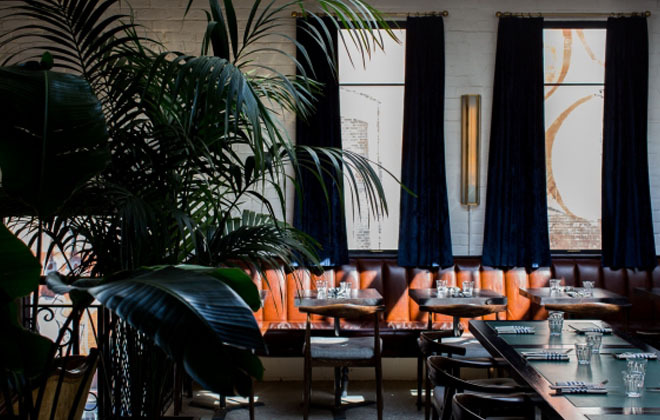 Rather, Olch envisions Metrograph as being a hotbed for creative community to come together and watch, drink, eat, and talk. He envisions the next great screen play will be written right in the cafe, where the amazing coffee, snacks and free flowing wifi will keep any writer fueled to finish that next masterpiece. In fact, the cafe even has a “Writer’s Menu,” featuring all the necessities: small bites, and plenty of coffee and booze! Love it. While away the hours here…even if you don’t watch a film. The Commissary is also a big draw. The idea for the in house restaurant came from the old watering holes that often posed up in Hollywood back lots. In the old days, they realized it wasn’t easy to get around sprawling LA, so when people made it out to see a film on the lot, they wouldn’t want to leave to go get a bite. Olch took this idea of a simple menu, made right with quality ingredients, to be the perfect grub to fuel those post-film discussion. The menus were actually inspired from the old Paramount commissary – so you can expect a good burger! The graphic designer in me loves the signage so much. It’s the complete experience in one impeccably designed locale. But it doesn’t stop at the brick and mortar theater. Metrograph may be all about nostalgia, but they also know that the online presence is just as important in this day in age. This is why they have crafted their website and logo with exclusively design typeface, and they also publish the Edition, which is an online journal that published exclusive film related essays and interviews. What an amazing addition this destination has already become to our already amazing city. See you there!